Engage your audience with a multi-touch display from Philips. Fast, precise, and extremely durable, the infrared touch technology allows you to interact with your customers like never before.A brand new level of interactivity is now available thanks to integrated touch technology. More flexibility and optimum simultaneous touch performance coupled with excellent operability opportunities to give you the ultimate in user interaction. 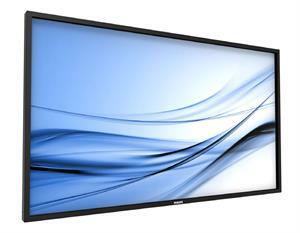 The Multi-Touch displays are enabled with automatic touch recognition. The USB connector is HID compliant, providing true plug-and-play operation. See your Solutions like never before thanks to four times the resolution of a conventional Full HD display. 3840 x 2160 pixels provide and image so refined, so lifelike, it's a window to a new world.